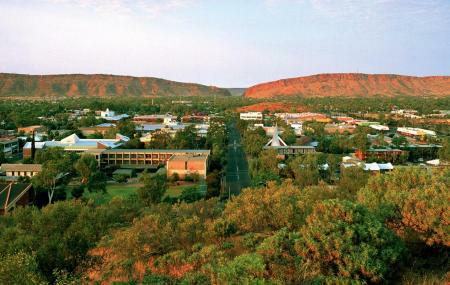 Find hotel near Alice Springs Tourist Inf .. The tourist information centre gives one a better insight about the city by helping tourists get around the city and neighboring cities under the guidance of a local map and useful information. By opting for the free guided tour in the centre you can get familiar with the dos and don’ts of the city while you learn about many interesting facts about the area. Before you begin with your tours and sightseeing in the city do make it a point to collect your heap of information from the Alice Springs Tourist Information Centre. How popular is Alice Springs Tourist Information Centre? People normally club together Mbantua Fine Art Gallery And Cultural Museum and The Royal Flying Doctor Service while planning their visit to Alice Springs Tourist Information Centre.